The British Nutrition Foundation (BNF) has recognised the outstanding achievements of top food and nutrition students and teachers from UK schools, as well as early career and established nutrition scientists, through a series of awards presented during its Annual Day 2018. The BNF established the Education Awards scheme in 1990 to promote interest in, and raise awareness of, good practice in food and nutrition. 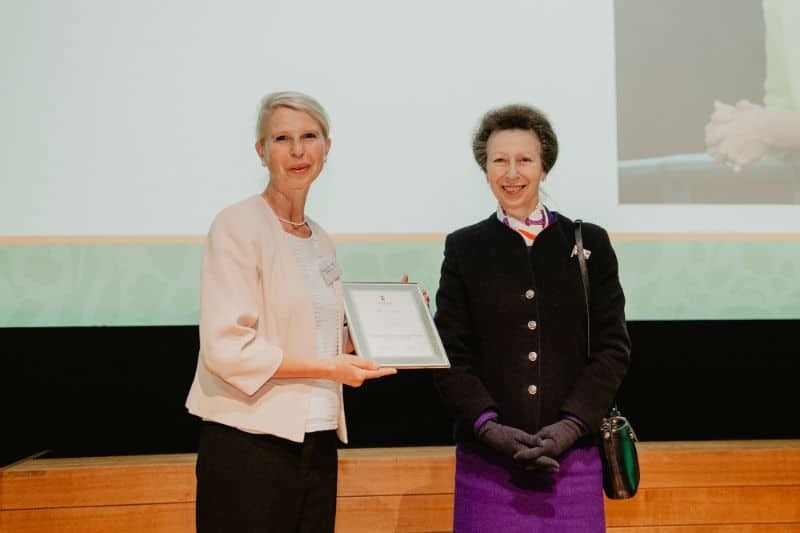 This year saw a guest appearance from the Princess Royal, with prizes awarded to the students who received the highest grades in food and nutrition subjects by their respective examination boards, namely AQA, CCEA, EDUQAS, Edexcel, OCR, SQA and WJEC. The BNF also recognised and rewarded the hard work and dedication of each winning student’s teacher. The BNF Drummond Early Career Scientist Award is a new annual scheme, which recognises nutrition scientists in their early career who show great potential to be future leaders in the field. This year’s award was received by Dr Caoileann Murphy, University College Dublin, with runners-up including: Dr Jing Guo, University of Reading; Dr Fiona Malcomson, Newcastle University; and Dr Keri McCrickerd, Singapore Institute of Clinical Sciences. The December 2018 edition of the BNF’s Nutrition Bulletin showcases the recipients’ work. Also presented during the Annual Day were the 2018 Drummond Pump Priming Awards, designed to help newly-appointed university lecturers and research fellows in the field of human nutrition to undertake the pilot work needed to generate data that can be used as the basis of a more substantial grant application. Recipients of the 2018 awards were Dr Rebecca Jones, University of Bedfordshire and Dr Oonagh Markey, Loughborough University. 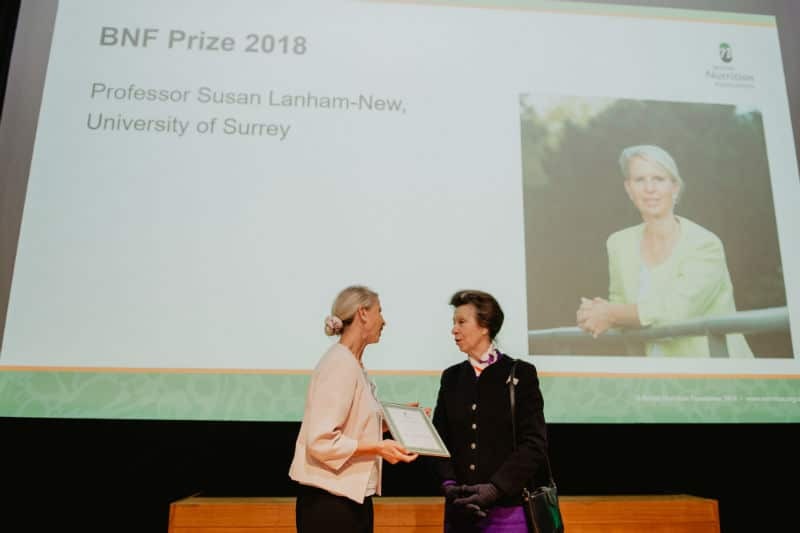 The BNF Prize for 2018 – which is awarded by the BNF’s Council to recognise and celebrate a contribution of outstanding merit in the field of food, nutrition and health – was awarded to Professor Susan Lanham-New, Professor of Human Nutrition, University of Surrey, whose research focuses on the area of nutrition and bone health. Roy Ballam, Managing Director and Head of Education, BNF, said: “There are so many incredible individuals making waves in the field of nutrition science and health, and it is wonderful to be able to celebrate their achievements. The Education Awards for school students are a particularly special part of the day, as they provide us with the rare opportunity to recognise some of the UK’s brightest students and most diligent teachers, hopefully encouraging them to continue their good work and pursue further study in the field of nutrition. The famous musician and edtech advocate inspired students at his book talk and signing, saying "scientists and engineers are the real superheroes"